On February 18, 1916, Beulah Hatch, age 24, died at Mercy Hospital in Denver. Dr. Bennett Graff, already out on bond while awaiting trial for the February 2 abortion death of Ruth Camp, was believed to have perpetrated the abortion that likely killed Beulah. Both women, in fact, were in Mercy Hospital at the same time, which means that Beulah's abortion must have been perpetrated prior to Ruth's death. Beulah had gone to Denver about six weeks prior to her death, installing herself in a rooming house and then entering Graff's care. He had her removed to the Panama rooming house, where he had offices. She remained there at the rooming house until her condition deteriorated to the point where somebody sent for her husband. Mr. Hatch summoned the family physician, Dr. Andrews, who came to Denver from Longmont. He examined Beulah and had her transferred to the hospital. Once she was there, Andrews transferred her to the care of a local physician, T. Mitchell Burns, who attended her until her death. 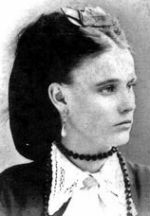 At about 2:00 p.m. on February 18, 1883, 28-year-old Irish immigrant Kittie O'Toole died at the office of Dr. C. H. Orton, her betrothed, in Milwaukee. Orton attributed Kittie's death to an epileptic seizure. Orton's neighbors, however, found the death suspicious and demanded an investigation. The coroner's jury found Orton culpable for two murders -- of Kittie and of her unborn baby -- for having perpetrated a fatal abortion. Orton, a widower more than 60 years of age, was a prominent politician and a doctor of longstanding in the community, which makes it interesting that in late April a municipal court judge suddenly dismissed all of the charges against Orton.